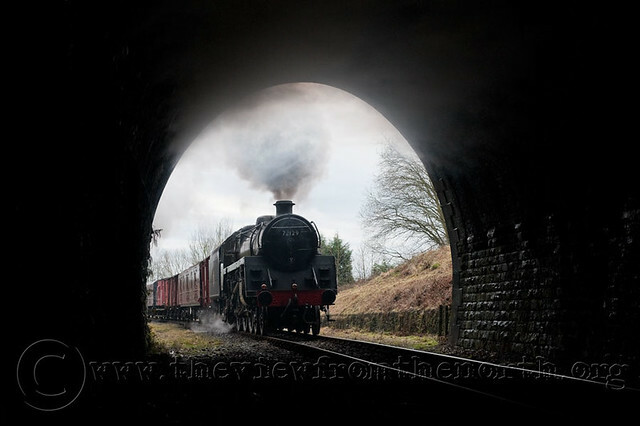 OK, first of an umpteen part series of some photos I took at a recent photo charter on the East Lancs Railway. 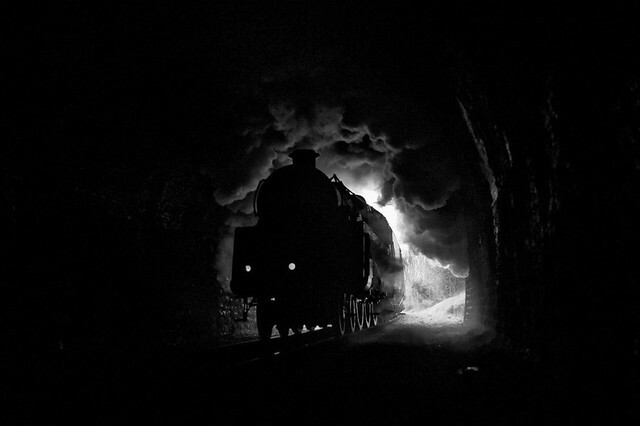 I’ve probably been in railway tunnels before, but probably not legally, and definitely not when there’s a steam train going through it. 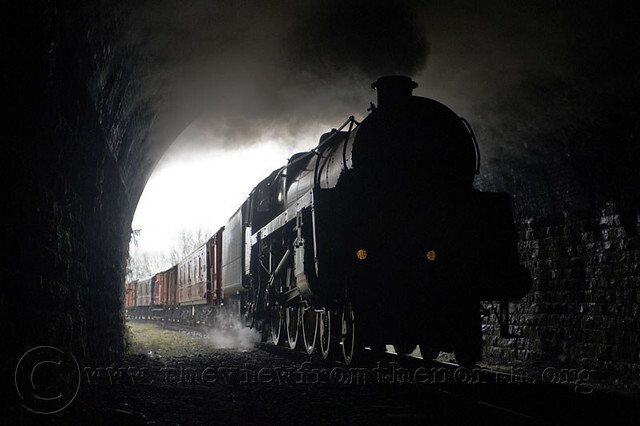 So this was a first and we were allowed into Brooksbottom Tunnel as we were accompanied by someone from the ELR, and the engine’s crew were aware of our presence. In terms of exposure and composition, this was probably the pick of the bunch, with the front of the smokebox retaining detail, as well as the sky. And a few seconds later, the train is almost upon us. It’s now a giant silhouette. Same again in monochrome. I think I prefer this one actually – it’s got more impact. And one from the other side of the tunnel. Not sure if this works as well t0 it was harder to expose for, although I was further in. 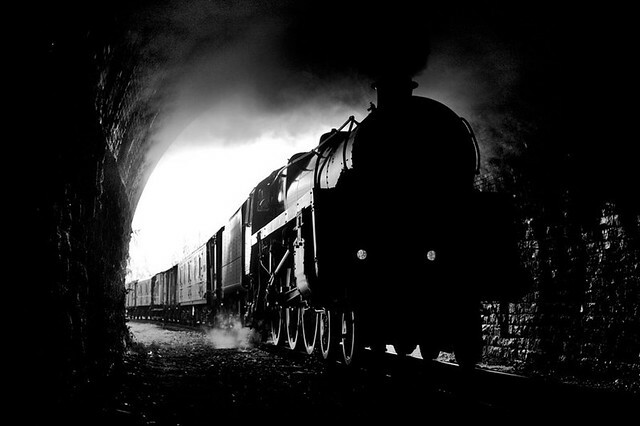 By this time the train had done several passes, and the smoke was hanging in the roof of the tunnel, which reduced the amount of light. Some photoshop jiggery pokery has lifted this, albeit at the expense of digital noise if you look closely. I like the last one best – very atmospheric!